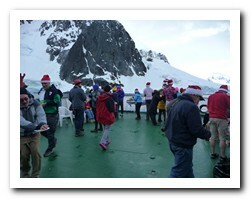 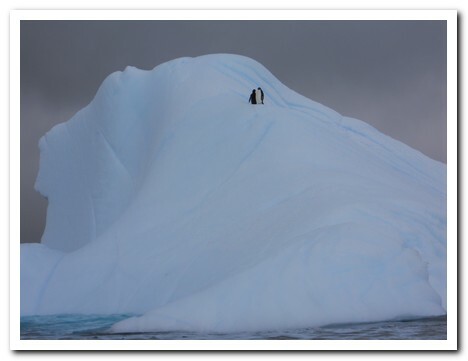 After 2 years of planning and saving we finally embarked on our Christmas voyage to the Antarctic peninsula. 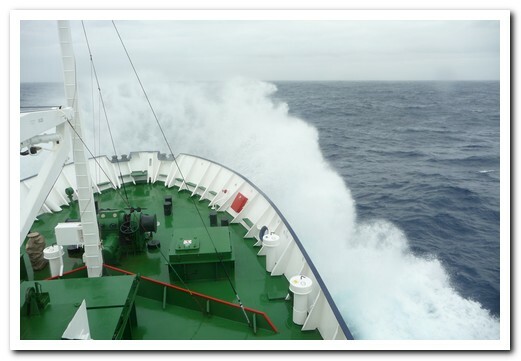 The weather and waves were kind to us as we crossed the infamous Drake Passage. 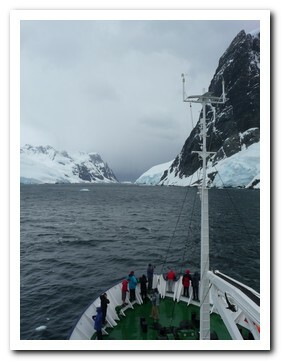 The Polar Pioneer with 51 passengers made good time and in 2 days we were able to make a landing on one of the islands of the South Shetland group. 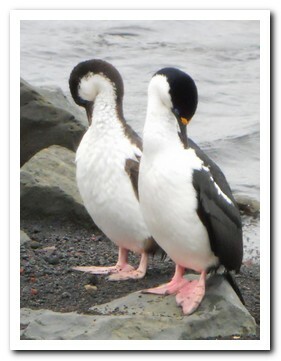 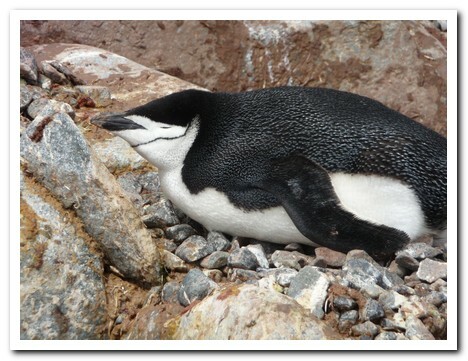 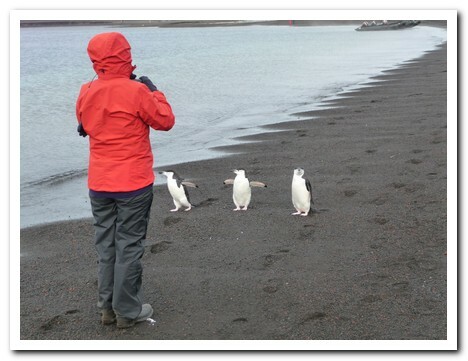 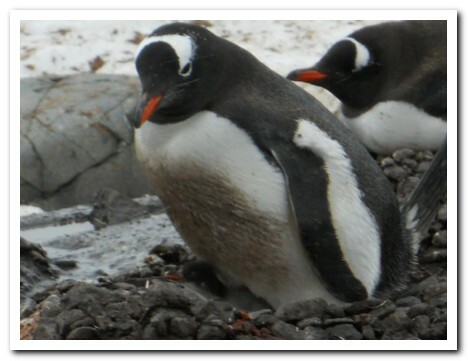 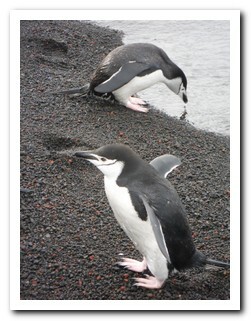 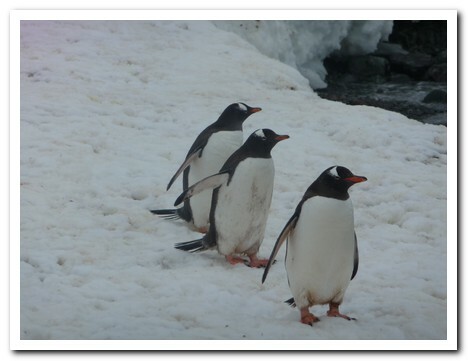 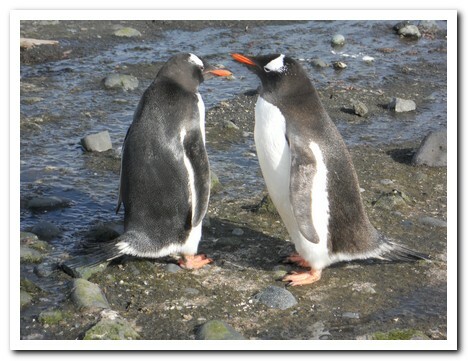 We were greeted by colonies of noisy Chinstrap and Gentoo penguins who carried on as usual, some guarding eggs on rocky nest while the curious ones walked right up close for a better look. 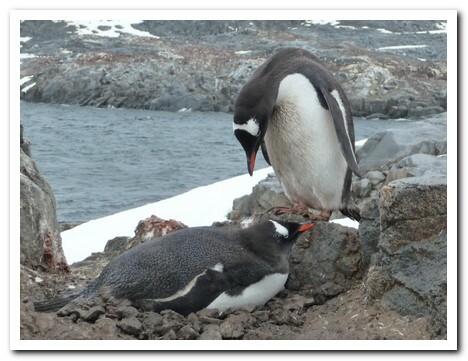 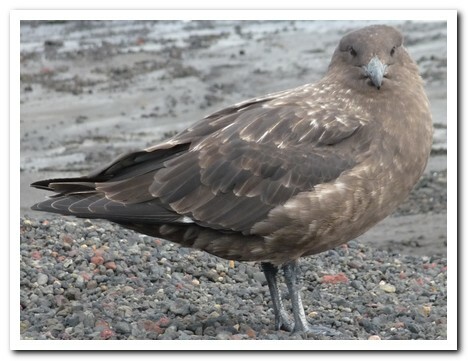 We were lucky enough to glimpse a chick when its parent stood to change position, and 2 juveniles practicing the ritual of mating. 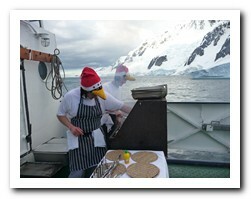 On each return to the ship we had to carefully scrub the penguin poo off our boots before we were allowed back inside. 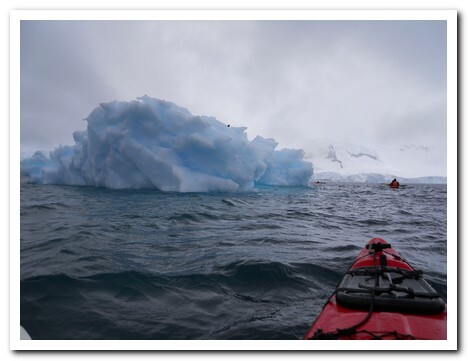 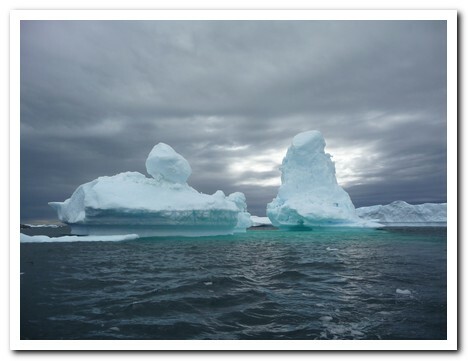 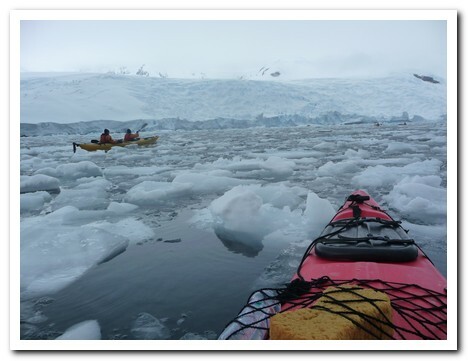 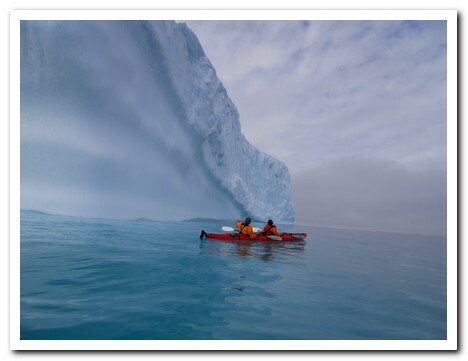 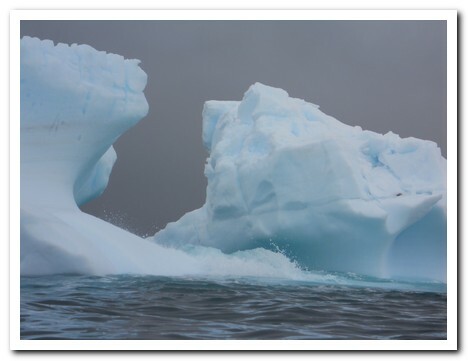 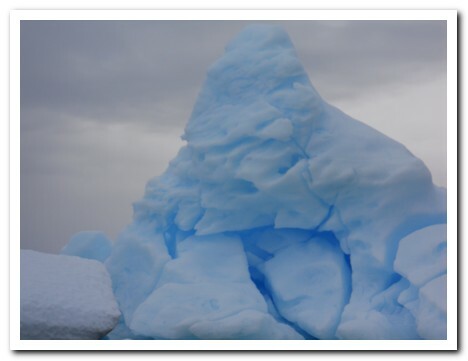 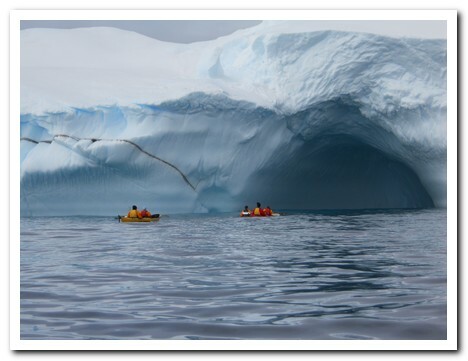 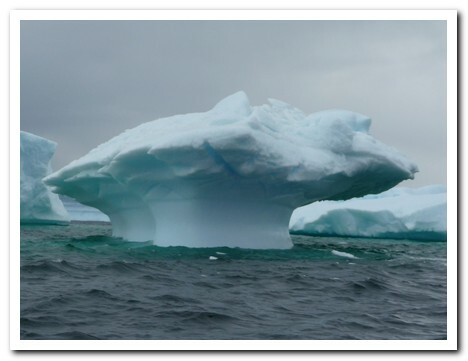 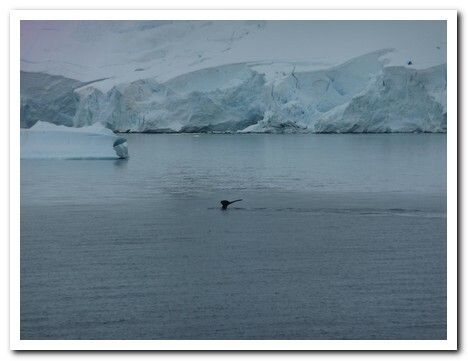 In more sheltered waters we were able to have many kayak excursions of 2 to 3 hours to see close up the huge ice bergs, ice cliffs, glaciers and wildlife. 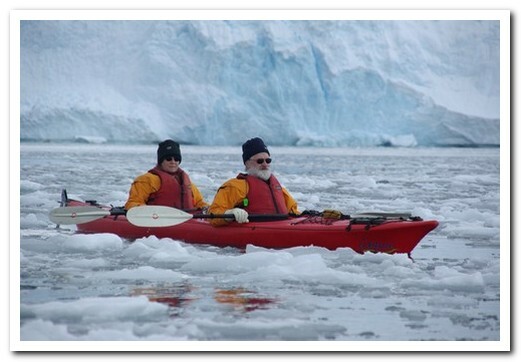 We soon got used to donning all the warm clothing and dry suits before each outing. 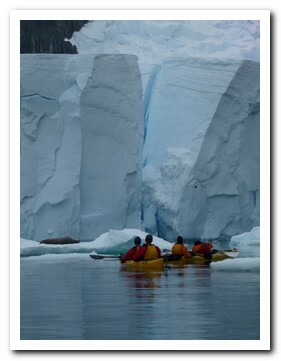 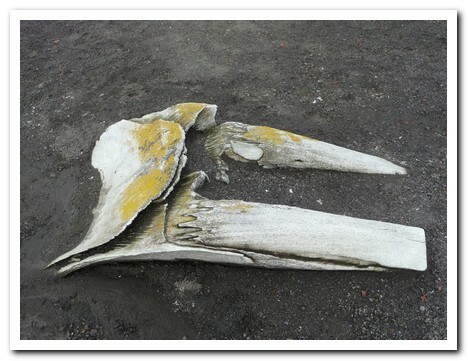 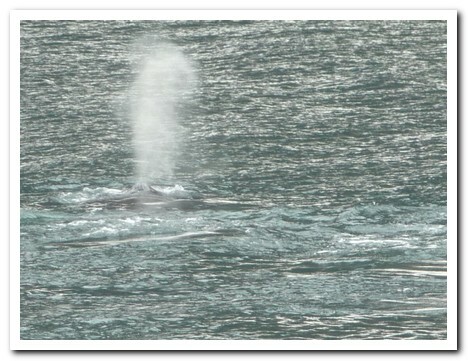 We saw many humpback whales from the ship but the highlight was seeing one close to the kayak. 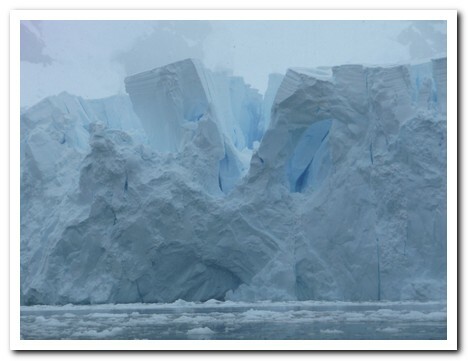 It was always cold, sometimes with an icy wind blowing and snow falling. 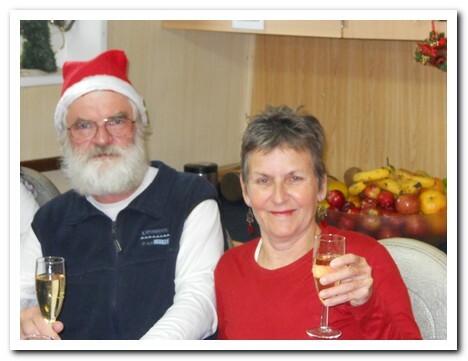 One evening we were treated to a barbecue on the back deck surrounded by snowy mountains. 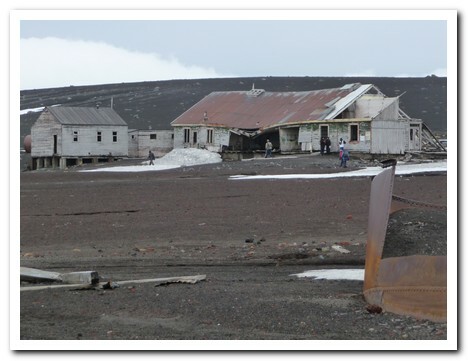 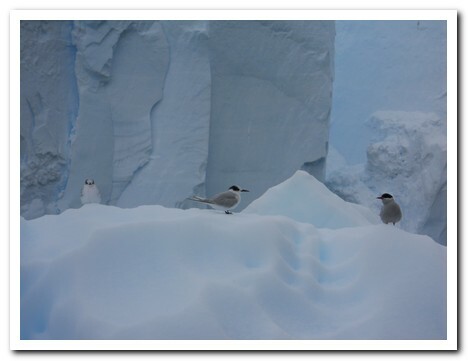 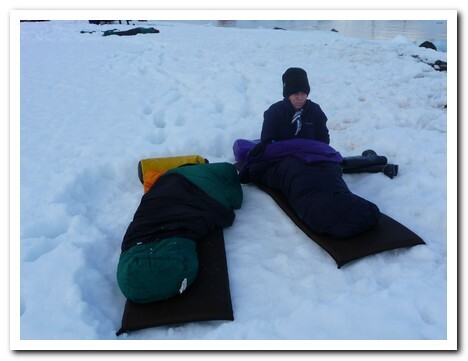 Those brave enough had the opportunity to sleep one night ashore out in the open on the Antarctic ice while the ship moved away to more sheltered waters. 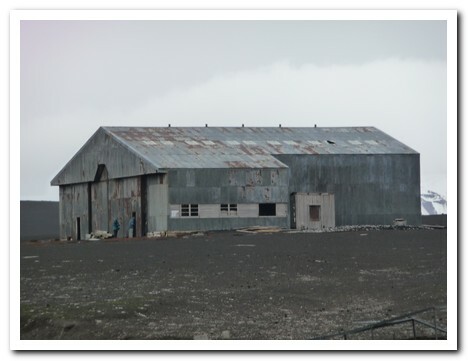 What magnificent surroundings we had. 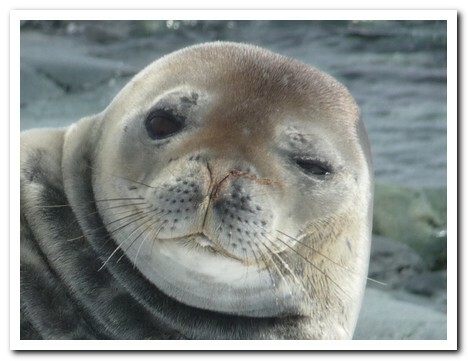 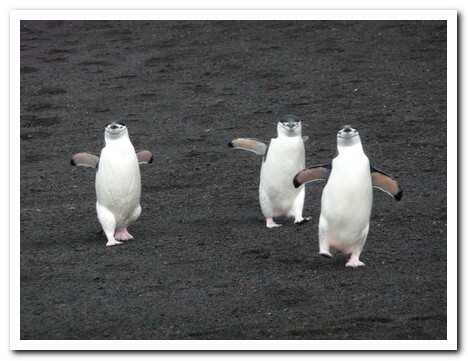 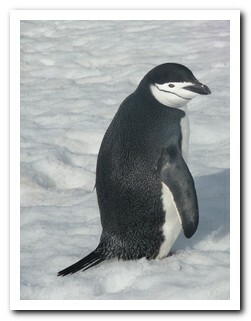 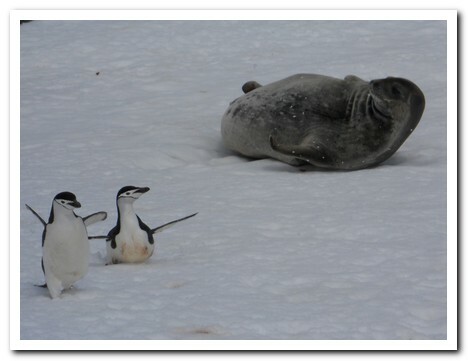 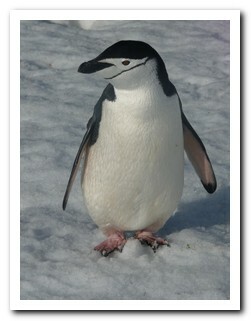 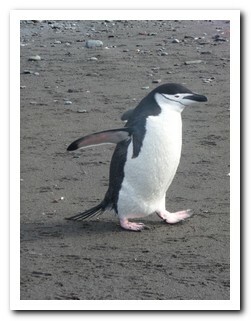 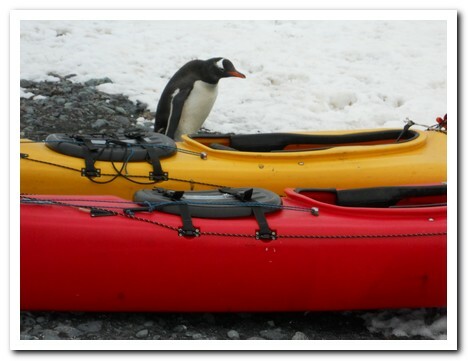 During the night we were joined by a few penguins and 2 seals. 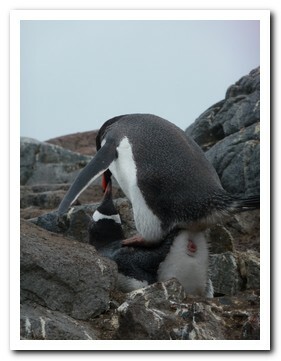 The sun never set. 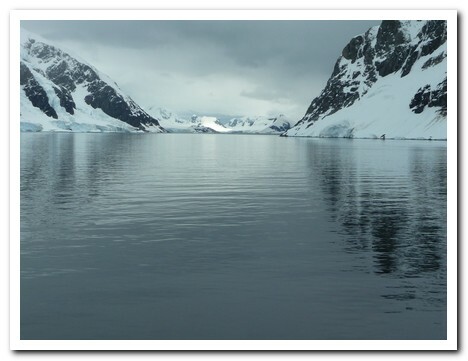 After a lovely Christmas lunch aboard ship inside the caldera of the Deception Island volcano, we began the 2 day journey back across the Drake Passage. 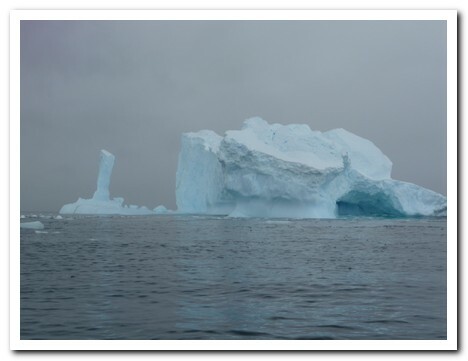 Our Russian captain looked at the weather chart and warned us of what was ahead – ¨big waves, rock and roll, sleep on floor¨. 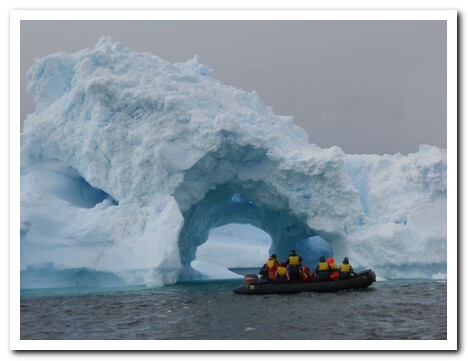 The sea doors were closed and we were confined to the inside of the ship. 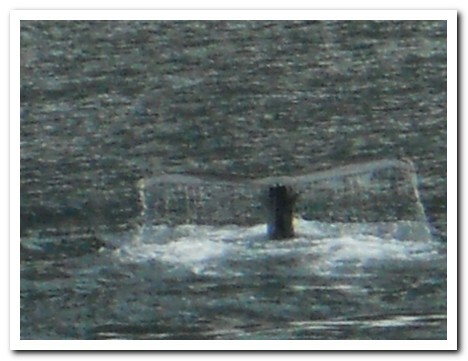 We could only watch from the bridge as huge waves crashed over the bow. 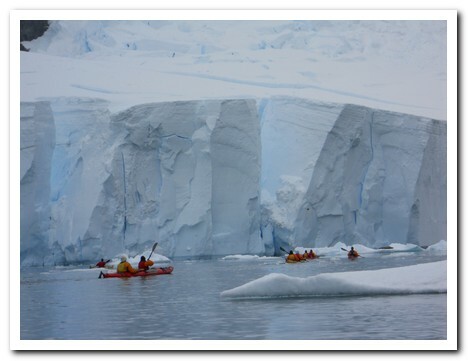 Many passengers lost their lunch. 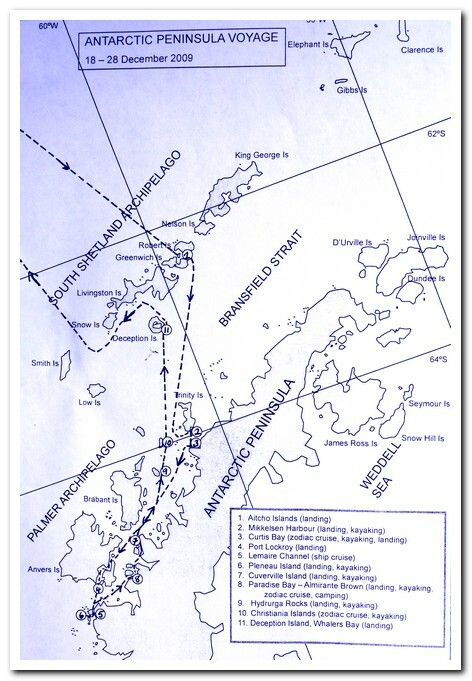 It was a great relief to finally spot Cape Horn and return to the more sheltered waters of the Beagle Channel. 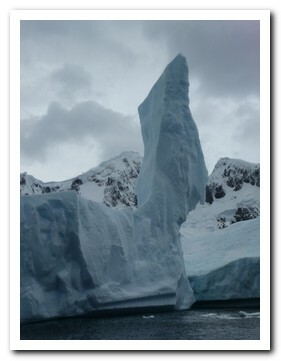 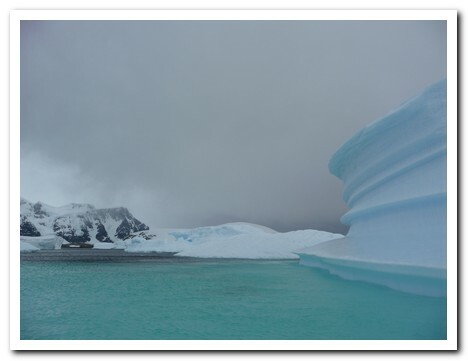 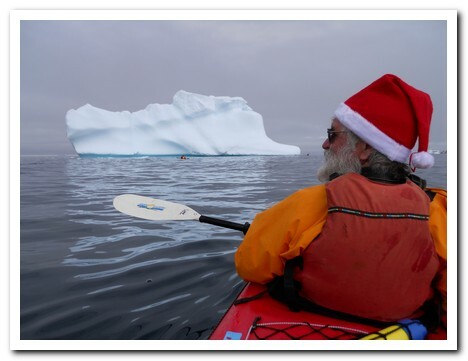 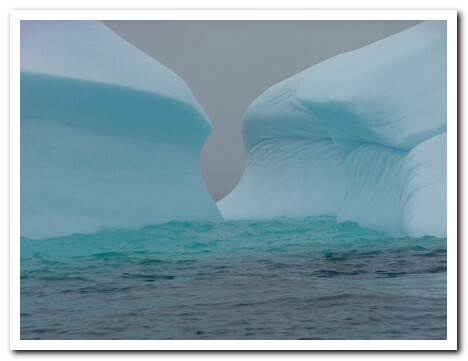 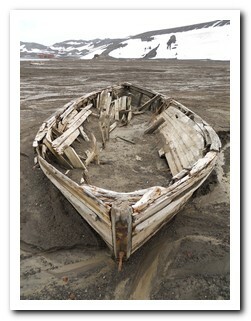 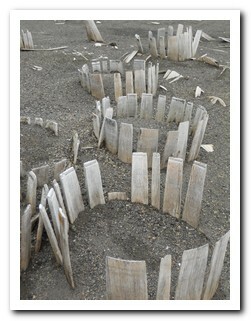 Click here for a slideshow of kayaking in the Antartic.